A few years ago my momma came across this recipe on the back of a can of beans. She’s never been a baked bean lover especially beans that have been drowned in bbq sauce, and pounds of bacon. 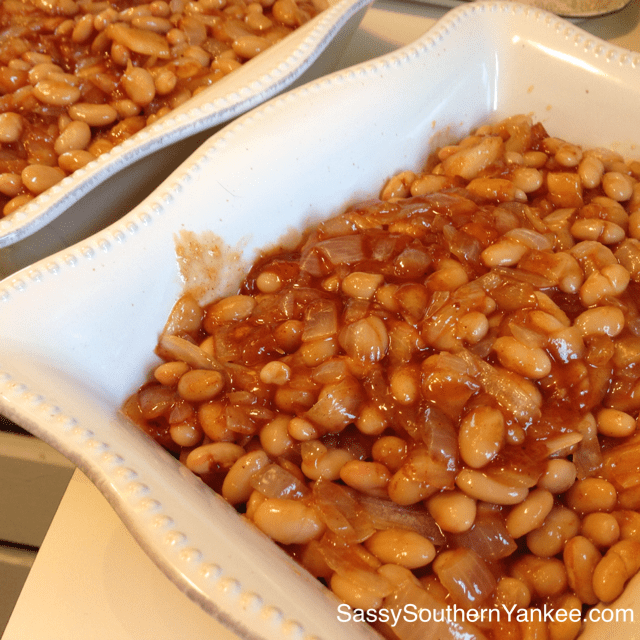 These Apple Baked Beans; however were a bit lighter, and didn’t have one ounce of bbq sauce in sight! 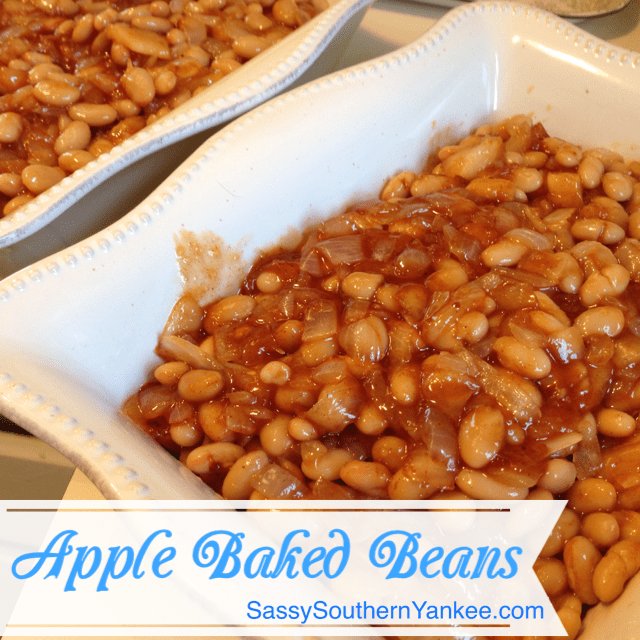 Being the bacon lover that I am I was doubtful that this apple baked bean recipe would replace my beloved bacon bbq baked beans. Boy was I wrong! These are the best baked beans I’ve ever had, and I don’t feel guilty about eating them. 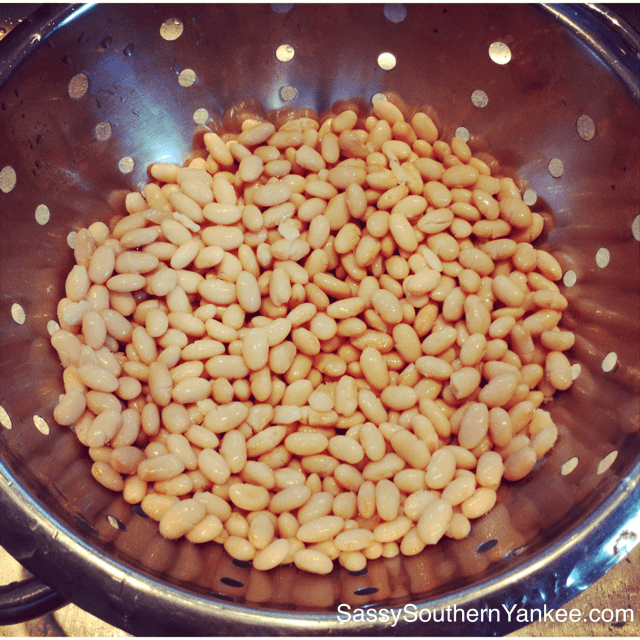 They have been my go to baked bean recipe ever since. Pre-heat the oven to 400*. Open the beans and pour into a colander then rinse in the sink until the water runs clear. Set the beans aside, or leave in the sink to drain. In a large pan sauté the chopped onions, apples and coconut oil/butter until they are tender, and the onions are translucent. 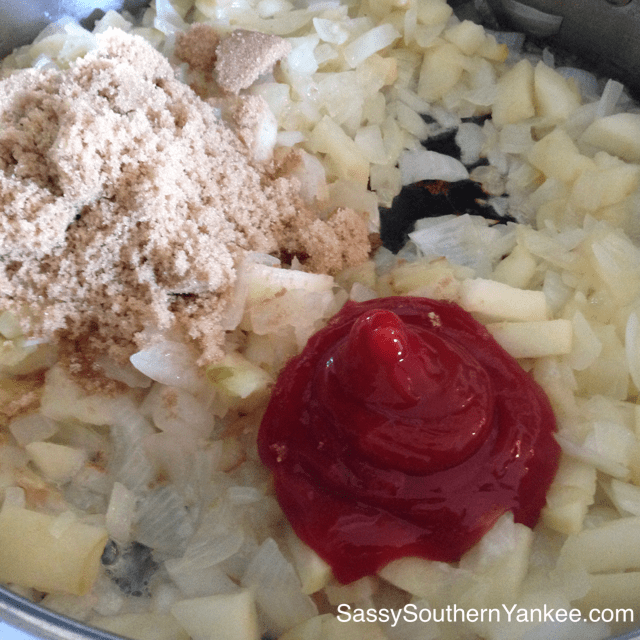 Once the apples and onions are tender add the cinnamon, salt, catsup and brown sugar; stir until combined. 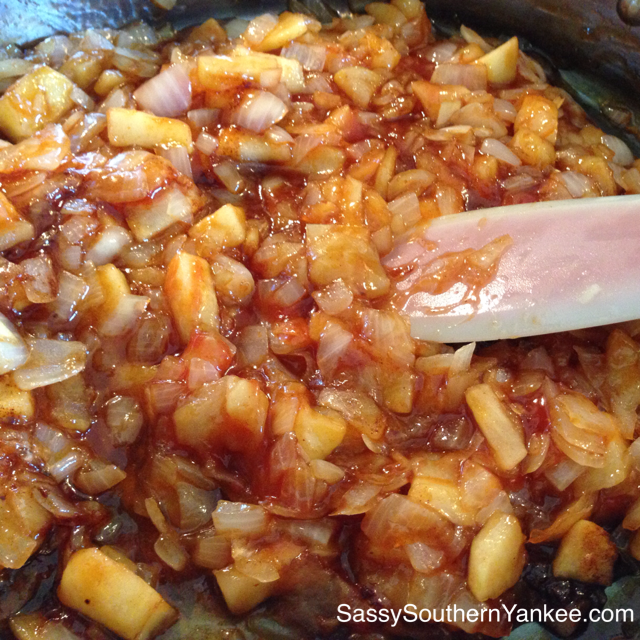 Add the beans to the apple onion mixture and coating the beans evenly with the sauce. If you like your beans a bit more saucy, or you are making them the day before then just double the catchup and brown sugar. *adapted from Randall Beans I’ve made them a bit healthier. ** Feel free to make these a day ahead of time. They tend to absorb the sauce overnight, so I would recommend doubling the brown sugar and catsup or at least the catsup. A few years ago my momma came across this recipe on the back of a can of beans. She's never been a baked bean lover especially beans that have been drowned in bbq sauce, and pounds of bacon. This recipe however was a bit lighter and didn't have one ounce of bbq sauce in sight. Being the bacon lover that I am I was doubtful that this apple baked bean recipe would replace my beloved bacon bbq baked beans. Boy was I wrong! These are the best baked beans I've ever had, and I don't feel guilty about eating them. They have been my go to baked bean recipe ever since. 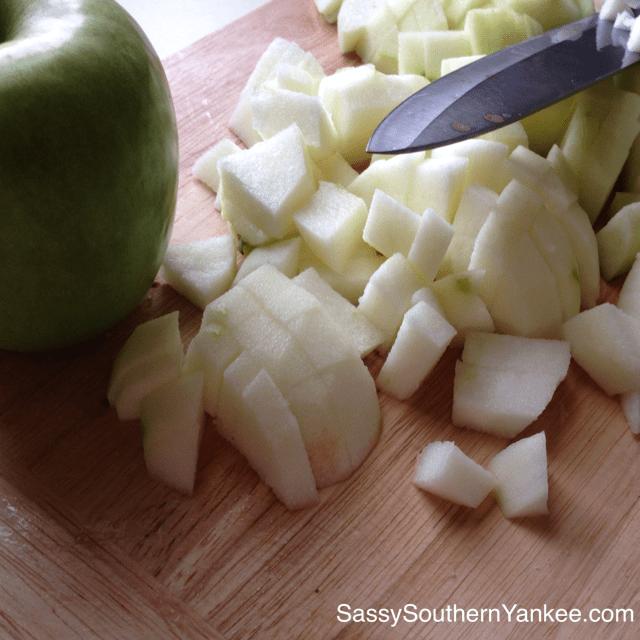 This entry was posted in Side Dish and tagged apple baked beans, Apples, Baked Beans, BBQ side dishes, beans, butter, Cinnamon, Easy Side Dishes, Gluten Free Recipe, Granny Smith Apple, holiday Recipes, Onions, Recipes, Vegan, White Beans.